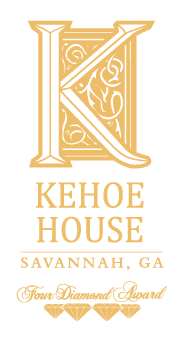 At The Kehoe House, we believe your most important day should be filled with love and happiness...not stress. We've curated services and details to make your wedding effortless and perfect. 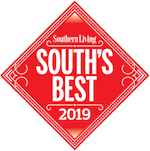 Our specialty is romance, and we would love to help you with your Savannah elopement. The most important thing to note is that we are very flexible. 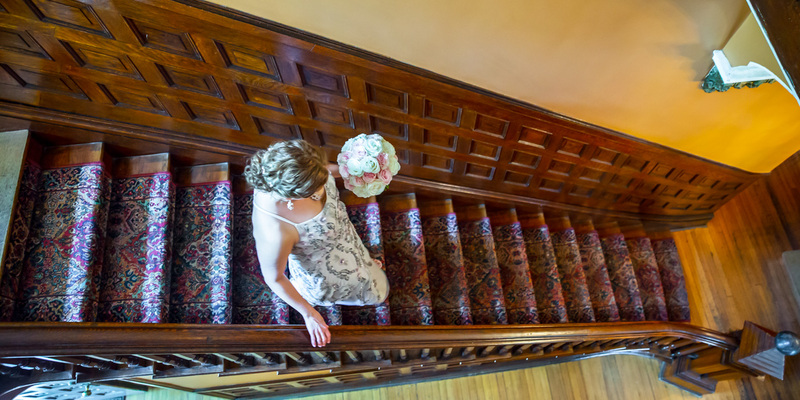 There are very few "rules," and our goal is simply to make your elopement the very best day of your life. 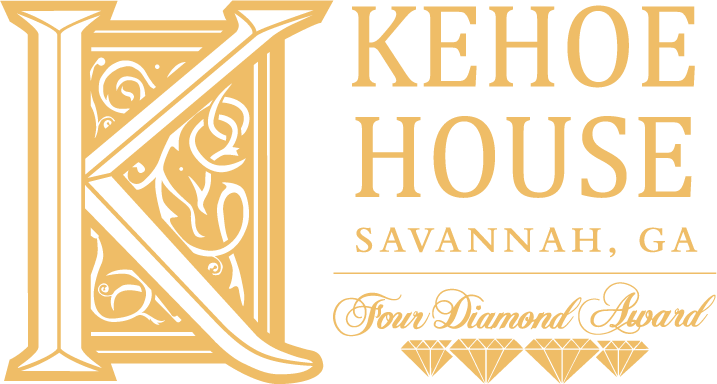 We think a good place to start is with our very popular Savannah Elopement Package. If you want to customize your day even more, we're happy to help! 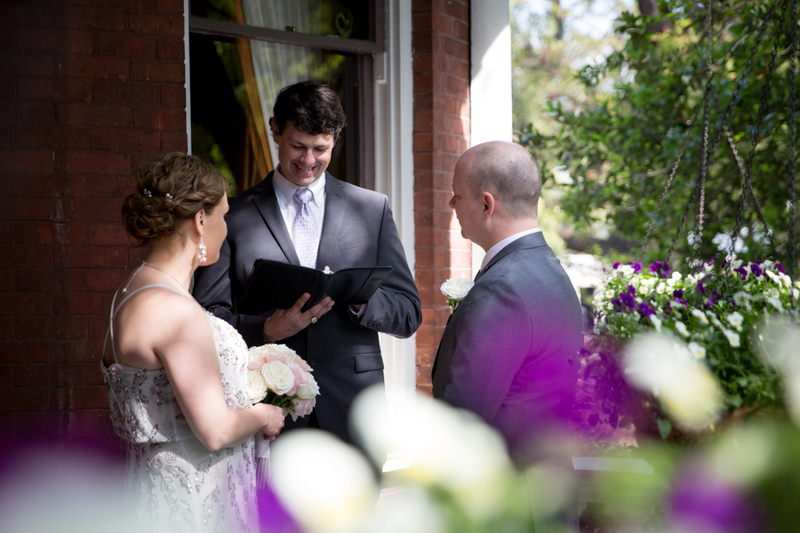 Our most popular ceremony location is the beautiful veranda on the right side of the house. 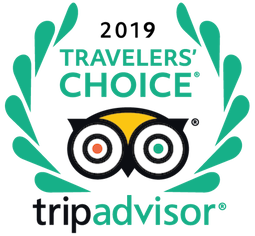 It's a small, intimate location, most suitable for couples eloping privately, or with just a few friends. The balcony's white columns and haint blue ceiling lend a very "Savannah" feel to the space. Our staff will set up a cake and champagne table there, so the entire experience can be enjoyed outdoors under our covered balcony. The Music Room, adjacent to the veranda and near the front of the house, is also a very popular location for wedding ceremonies. Couples often choose the Music Room either as a primary indoor location, or as a back-up in the event of inclement weather. The room has a beautiful fireplace, a piano, two sofas and a buffet table. Cake and champagne is usually set up in the Music Room for couples who get married there. 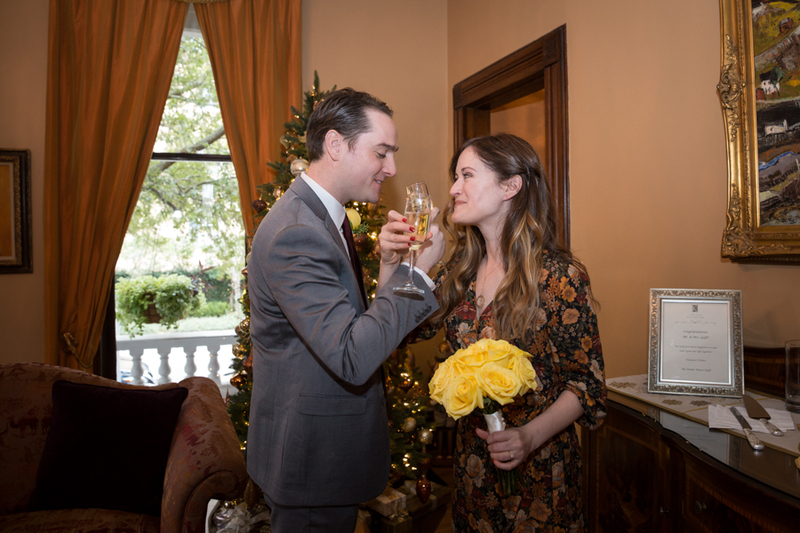 The Parlor is a favorite for couples who share their wedding with more than just a few guests. Three large bay windows span this room, giving it beautiful natural light. The room has two working fireplaces, chairs for guest seating, and a beautiful sofa. While perfect for larger guest parties, it's often selected by eloping couples because of the beautiful lighting and open atmosphere. 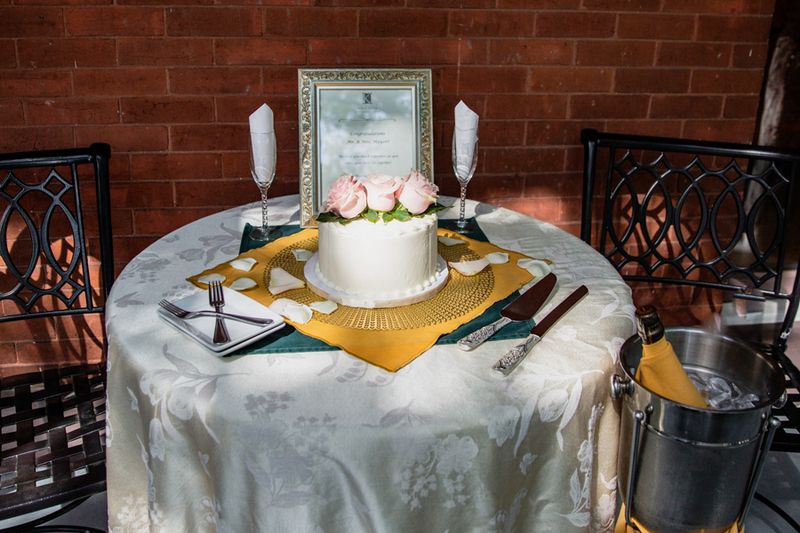 Our private garden courtyard is perfect for couples who want a Savannah garden wedding. With outdoor seating for up to 16 guests, the courtyard is a great choice for small weddings and private elopement ceremonies. Enclosed by a wrought iron fence, the brick-paved courtyard has several tables and a flowing fountain. Strings of Edison lights overhead add a romantic atmosphere after dark. Cake and champagne is usually served outdoors in this space following the ceremony.